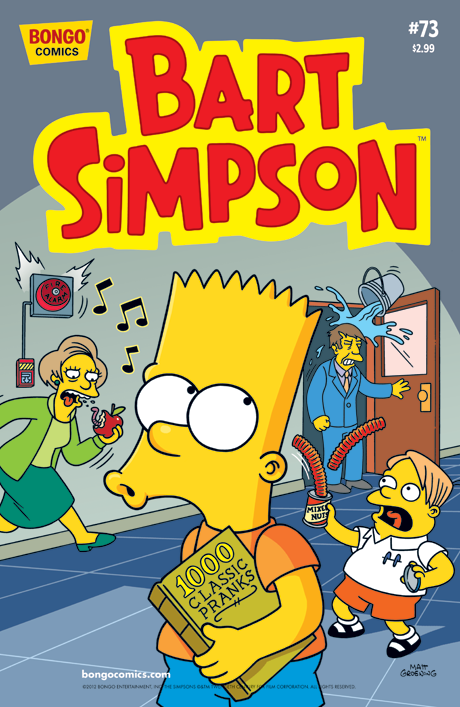 Bart Simpson #73 is the seventy-third issue of Bart Simpson Comics. It was released on July 25, 2012. Bart spills chemicals on himself during a science lecture, and everyone mysteriously takes an instant dislike to him. Marge sends Homer out to buy a box of diapers. Bart's short cut to the movies turns out to be not so short after all. Lisa designs a prize-winning corn maze, only to get lost in it when she tries it out.